Though not always the most exciting way to improve your shooting expertise, books and videos can be the next step to increasing your firearm knowledge. Many of the most valuable lessons are learnt when we are not shooting at all. This is an easy way to gain knowledge about subjects you have been curious about without forcing you to commit too much time and money. Many of the books and videos from GrabAGun.com are just plan entertaining as well. Many popular series showcase people on the hunt. 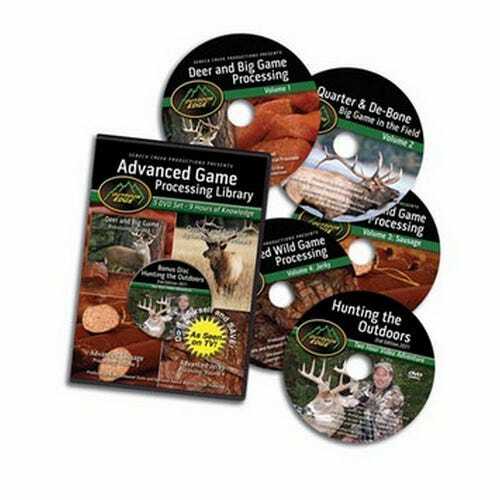 Some of the favorites include the Duck Commander and Buck Commander series. These men take you along with them on their hunts to show you the firearms and tactics they deploy on their expeditions. Learn firsthand what is proven to work well for them and what does not. In addition to the videos about hunting, there are several about the art of self-defense. Learn from experts about how to protect yourself from all forms of attack. If you are more into reading, there is a range of literature that will help you on your next adventure. Atlases, handbooks, and other guides can be found to educate you on nearly every aspect of gun ownership and outdoor activity. These books can be found for people of all skill levels and interests. Knowledge is one of the few things no one can take away from you. So when you are ready to learn more about your firearm, how to maintain it, how to become a better shot, or about something else that interests you, try to find it in a book or video. GrabAGun.com can help you find the weapon, and they can also educate you on how to use it to its fullest potential.